The TetherPro FireWire 800 9 Pin is the most recent version of the popular FireWire peripheral interface. Transfer rates double from the old standard of 400Mbps to 800Mbps. The TetherPro low profile casing fits digital backs with the narrowest of ports to ensure a secure fit and reliable connection. Designed to the highest IEEE 1394b standards, all TetherPro 800 cables feature dual Ferrite Cores to reduce electromagnetic interference and provide fast transfer speeds. 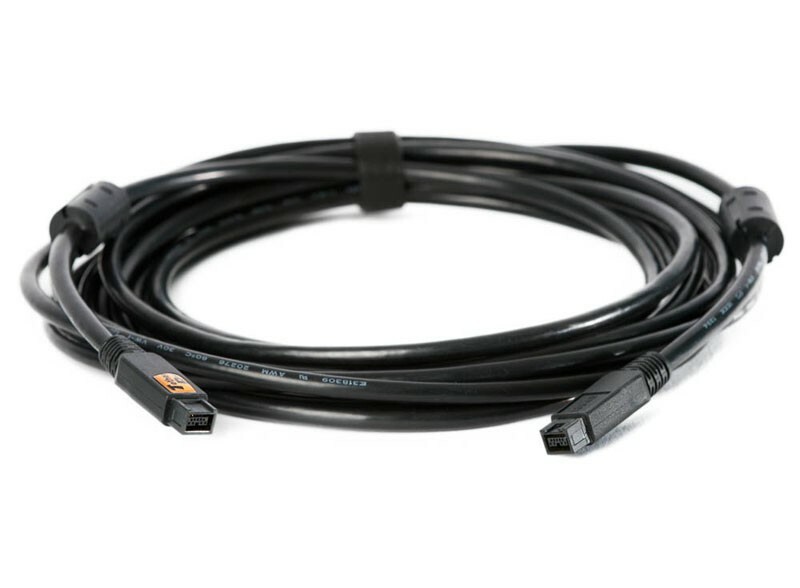 tTe 15 foot (4.6m) cable is the industry’s top choice for tethered photographers whose camera and computer utilize the 9 Pin FireWire 800 standard. FireWire IEEE 1394b specifications are backward-compatible with existing FireWire technology.